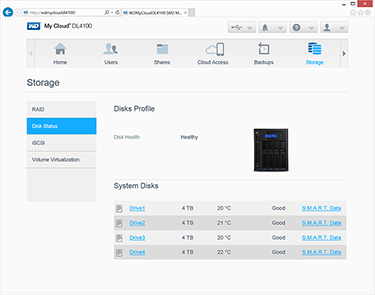 WD has revamped its range of network-attached storage (NAS) solutions with the introduction of various My Cloud models that tout a good mix of performance and ease of use without breaking the bank. The premium and complicated nature of the firm's earlier Sentinel units seems a distant memory, with simplified My Cloud models now covering all bases, from entry-level single-drive units to the prosumer EX Series and, at the top of the tree, the business-ready DL Series. We recently came away impressed with the four-bay EX4100, calling it "one of the more user-friendly NAS devices on the market," but the expansion of the My Cloud range makes the decision-making process that little bit more complicated, and if you've perused WD's high-end NAS portfolio, you may be left wondering: what's the difference between the EX and DL SKUs? Both come in two-bay (2100) and four-bay (4100) models, there's no obvious change in terms of chassis and appearance, yet the price tag suggests the variation is significant. Right now, a diskless EX4100 is available for £356, while the DL4100 fetches £522, making it £166 (42 per cent) dearer. The difference stems from product positioning. Whereas the EX is marketed as a prosumer solution, the DL has its sights set on small businesses and a closer examination reveals a couple of changes in hardware. Firstly, and most surprisingly, is the USB port arrangement. 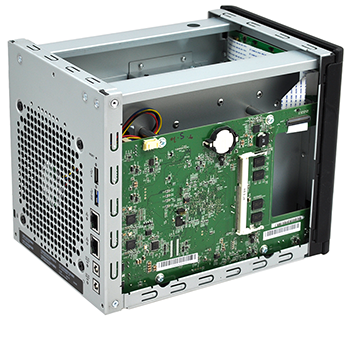 The EX4100 is outfitted with a trio of USB 3.0 ports (one up front, two around back), however the pricier DL4100 provides only two USB 3.0 ports, with the third rear port being of the slower 2.0 variety. 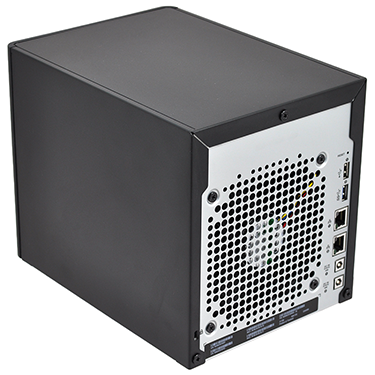 Dual power ports are provided as standard - though do be aware a second external supply is optional - and the two Gigabit Ethernet connectors offer full support for jumbo frames, link aggregation and failover. A single quiet-running 120mm fan is tasked with cooling the entire unit, and up front a two-line LCD panel keeps you updated with status and alerts. WD's tool-free drive bays are another nice touch, but if you're looking to repurpose existing disks note that the 2.5in form factor isn't supported, and the official compatibility list is currently limited to WD Reds. 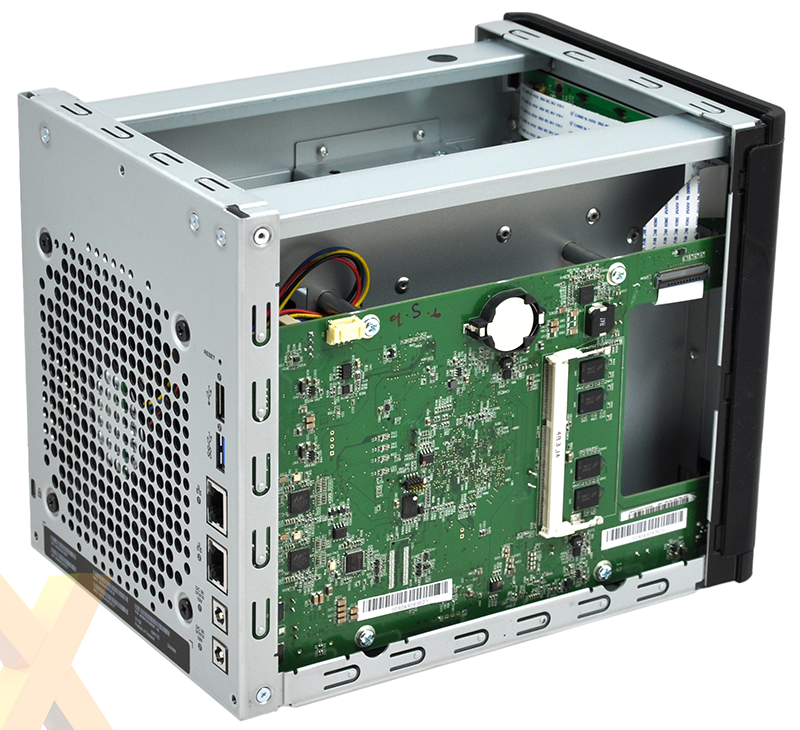 Our 16TB review sample is already populated with four 4TB drives at a total cost of £1,130, and the fact that only WD Reds are officially certified as compatible makes the diskless alternative less appealing at this time. Encouraging users to buy a NAS bundled with drives, WD backs populated DL4100 models with a three-year warranty, compared to a standard two years for the diskless variant, and subsidies ensure that populated EX and DL Series prices are closer matched. 24TB models, for example, are currently priced at £1,484 and £1,501, respectively. 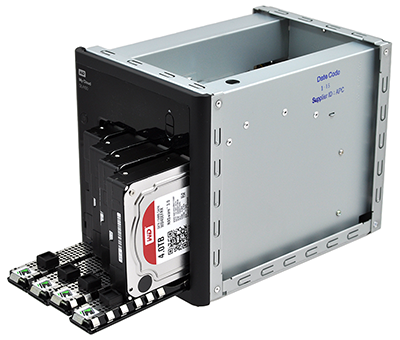 What really sets the DL4100 apart from its EX4100 sibling, however, is what's under the hood. 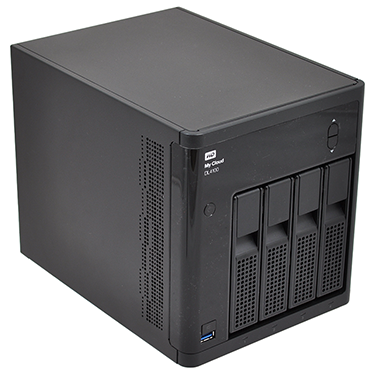 Instead of an ARM-based CPU, WD has outfitted its SMB NAS with a dual-core Intel Atom C2338 processor and, crucially, expandable RAM. 2GB of DDR3 is installed as standard, but the DL4100 serves up a second accessible DIMM slot, allowing memory to be increased to up to 6GB. This could prove to be useful in busy workplace environments, as more memory can be vital to maintaining performance as the number of clients increases. 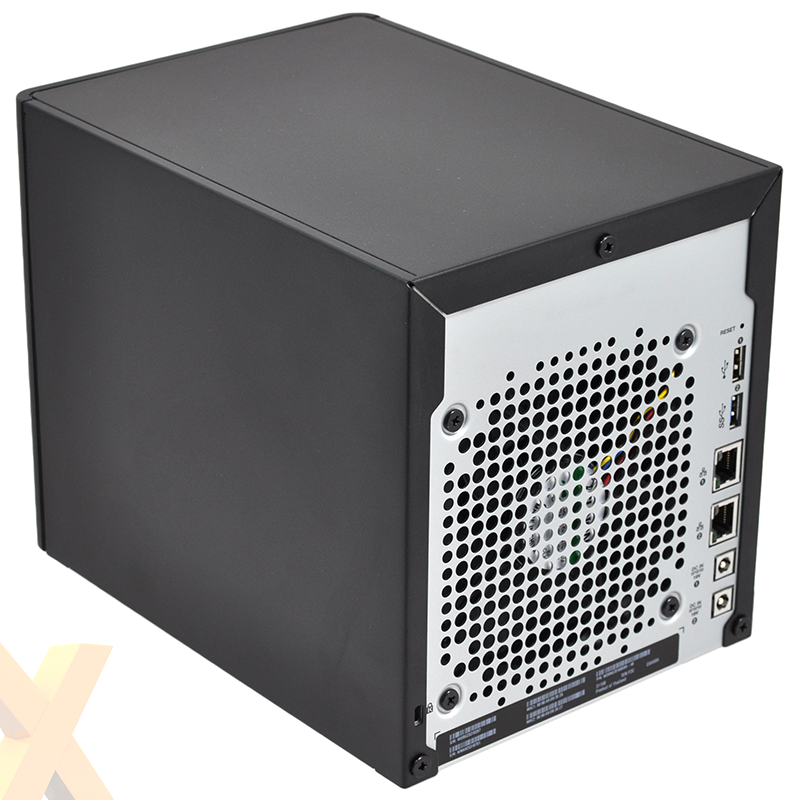 From a software point of view, the DL4100 utilises the same Linux-based My Cloud OS as the EX4100. WD tells us that it "may differentiate apps or bundled software in the future to further differentiate the solutions," but for now the feature set remains identical across both product lines. 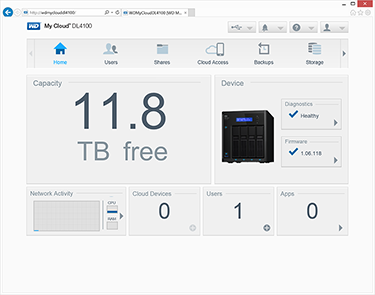 Maintaining a clean and user-friendly interface, the My Cloud OS is easy to get around and well presented, however as a business NAS, the current feature set isn't as expansive as some of the competition. Comprehensive backup facilities, iSCSI support, Active Directory integration and UPS compatibility are all part of the product's appeal, but the third-party app ecosystem is only just getting going and features such as anti-virus and surveillance are still unaccounted for. At the DL4100's price point, My Cloud can be considered utilitarian compared to some of the competition, though that could be deemed a negative or a blessing in disguise depending on your own unique requirements.